As part of the Scottish National Investment Bank (The Bank) consultation Scottish Government is seeking to collate a wide range of views to help to inform the legislation being brought forward in early 2019. With specific objectives around a mission orientation and investing ethically and sustainably Scottish Government asked the Ethical Finance Hub to convene our local stakeholders. 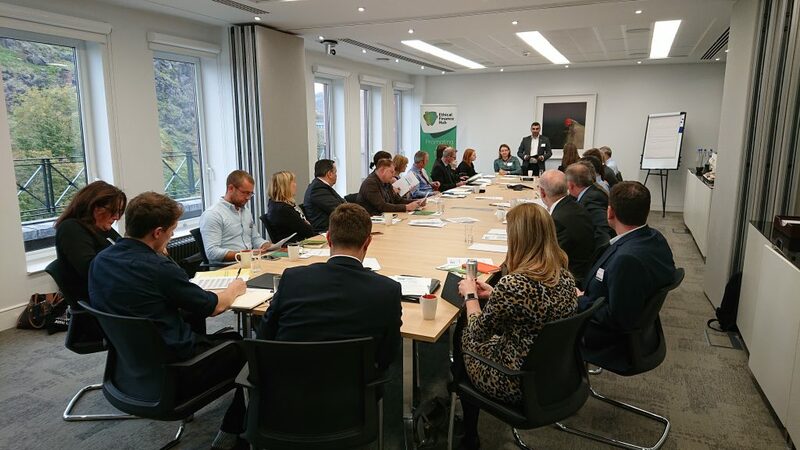 We were delighted to work with Scottish Government, UKIFC and CMS Cameron McKenna Nabarro Olswang LLP to host senior stakeholders from across the Scottish financial services community at our consultation event in Edinburgh on Monday 1st October 2018. The meeting provided a unique opportunity for attendees to learn about the Bank and, more importantly, engage directly with the officials taking forward The Bank’s proposals. The links below provide you with the slides presented on the day by Scottish Government as well as a summary of the key discussion points covered.